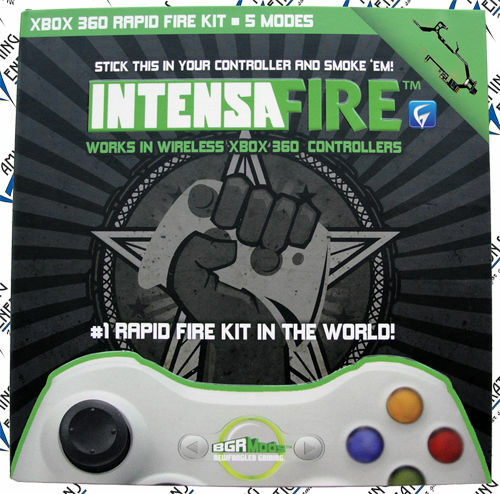 The next evolution in Xbox 360 rapid fire technology is here in the form of the IntensaFire 3.0 rapid fire controller mod. 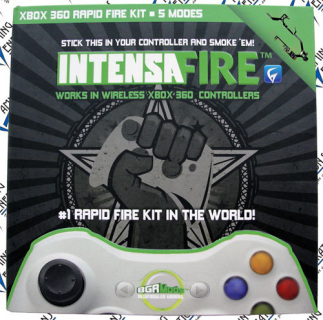 The IntensaFire 3.0 for Xbox 360 converts any Microsoft Xbox 360 wireless controller into an intelligent dual rapid fire controller with groundbreaking features such as the sniper double-tap. 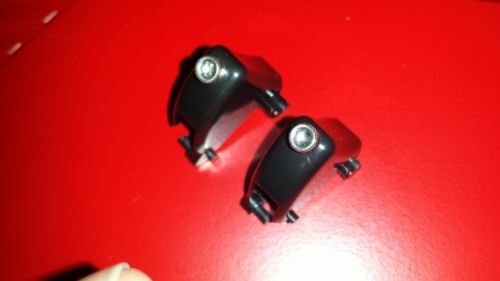 The IntensaFire 3.0 is even easier to install than previous versions and still requires no soldering, cutting, wiring or drilling. 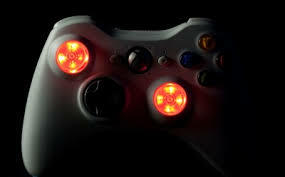 Installation takes seconds and instantly converts your controller to an efficient weapon of mass destruction that boosts Gamer Rankings and drastically improves Kill Death Ratios (KDR).